As we journey into this new year, a brand new slate of film festivals begins to unfold in front of us. While Sundance kicks off the major circuit at the end of January, we're instead first looking forward to the inaugural Portage International Film Festival, taking place this Saturday, January 12th. 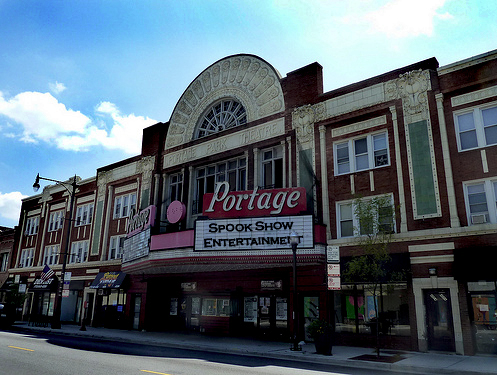 The event, which will run for one day, is being held at the historic Portage Theater in Chicago, Illinois. Doors will open at 9:30 a.m. and follow with a variety of 21 different films - both features and shorts - over the next 12 hours. The Portage Theater first opened its doors in 1920, and has since become an architectural landmark and one of Chicago's oldest movie houses. After experiencing some tough times over the past few decades, the theater was purchased by new owners in 2006 and was restored to its original beauty. As it once was, the theater again serves as a centerpoint of the Chicago independent film community. This festival, which is hosted by Spook Show Entertainment, will be the theater's debut of 2013. Of the various films that will be showing, many are winners from previous festivals, and should offer great variety for those in the Chicago area looking for a bit of film culture next weekend. As we're lucky enough to have a couple of writers in the Chicago area, we will have two writers at the festival - Ben Foutch and Andy Schopp - who, similarly to their work at last year's Ebertfest, will be bringing a full rundown of the day's events, with the hope of adding some interviews and exchanges with the various filmmakers and personalities in attendance. 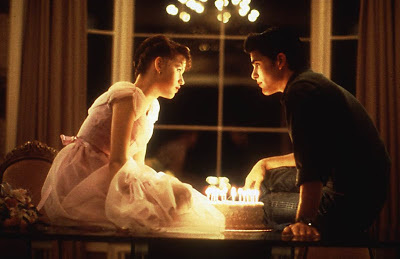 I'll do my best to see if I can get either of them to do some live Tweeting throughout the day, but no promises! The film lineup being presented appears to be of excellent quality, and one nicely chosen to provide a broad array of genres and styles. The event will kick off with the screening of "Soul Catcher", which is a horror documentary, chronicling stories of abandoned Indian boarding schools built to imprison the spirits of Native Americans. From there, screenings continue at a determined pace, ultimately concluding with the award-winning feature, "Stormy Night", at 7:30 p.m. "Stormy Night" is a thriller that takes place on Halloween night, where a hit-and-run sets into motion a series of events involving lies, betrayal, and murder. After the screening of all films, the event will dole out a variety of awards, including those for Best Feature and Best Short, along with a variety in acting, directing and technical categories. 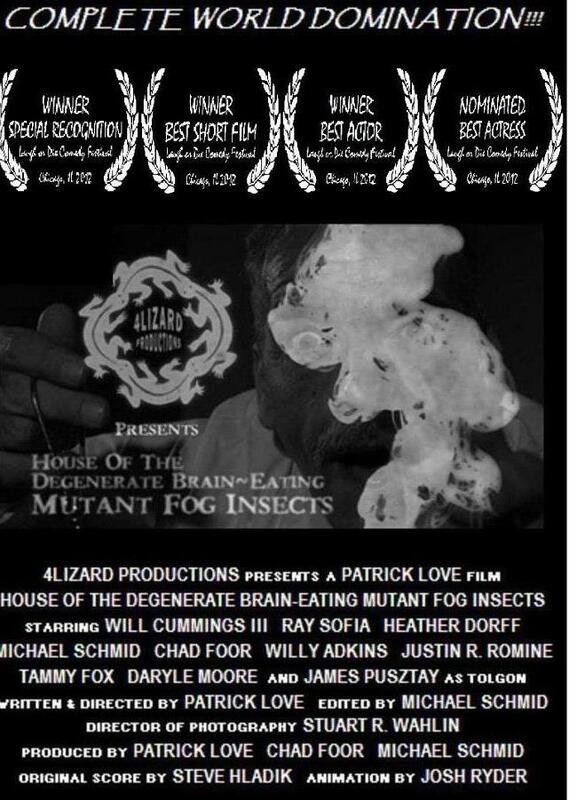 It's hard to nail down any real front-runners as of yet, but if I were a gamblin' man, I think I'd put my money on "House of the Degenerate Brain-Eating Mutant Fog Insects" to take home the Best Short award. The film, which is a tribute to the B-movie horror films of the 1950's (a la Ed Wood), is definitely the kind of title I can get behind! Other than the multitude of films being presented, booth vendors will be scattered about the festival, making for an encompassing experience sure to please just about every kind of film buff. Tickets will be only $15 at the door, and if you purchase them online by Midnight on January 8th, you can save yourself a few bucks by pre-ordering them for only $12 apiece. We'll be there all day long, so stop by, say hello, and enjoy some great films!